The main objective of this project is to develop a Training Manual for Transit Service Planning and Scheduling for professional staff. The manual will consist of two sections: Transit Planning and Transit Scheduling. It will cover material for performing essential transit tasks. The intent of the manual is to be used by new transit staff as well as seasoned professionals who want to review key concepts. Although the focus will be on bus, a brief discussion on rail planning and scheduling will also be included. Using detailed descriptions of typical work tasks, the manual can assist with the intricacies of transit planning and scheduling. It is expected that, with a good understanding of transit planning and scheduling, transit staff can become more productive and effective in performing their job responsibilities. To achieve this, the Florida International University (FIU) team proposes a series of work tasks towards the development of the training manual for transit service planning and scheduling. Public Transportation, also called Mass Transit or simply Transit, is a shared surface transportation mode that provides mobility for the general public. It carries a higher number of passengers than automobiles, is more energy efficient, produces a lower impact to the environment, promotes sustainable development, and supports economic growth. Considering that transit is a labor intensive service with expenses that can add up quickly, there is a need for efficiency in planning and scheduling. Transit Planners and Schedulers play a key role in the delivery of services at transit agencies. Their job tasks and assignments, when done well, can help improve the efficiency of the transit service. Hence the need for practical manuals for professional staff to expose newcomers as well as seasoned professionals with key elements that are necessary for performing the job efficiently and effectively. The training manual will also attempt to stimulate innovative thinking and foster career development at the transit agency. The manual will emphasize the integration of service planning and scheduling. The service planner must understand the fundamentals of scheduling and schedulers need to be familiar with the service planning process. It is important that service planning and scheduling interact with each other through the entire service and schedule development process rather than being two disconnected functions. Transit Planning: It is the process of exploring a number of opportunities for providing an efficient public transit service. Based on existing conditions and available resources, transit planning attempts to optimize the delivery of transit services. 1. Agency Goals and Objectives: This category describes the goals and objectives of the transit agency and provides the framework for guiding the planning and scheduling activities. 2. Service Standards and Performance Measures: This category deals with developing service standards and gaining agency support for the use of performance measures as a means of improving the delivery of transit services. 3. Data Collection: This category encompasses the activities and techniques to capture required data needed regularly to support the agency’s goals by using service standards and monitoring performance measures. 4. Plan Development: This category includes route network and individual route design, service levels, operating improvements, service coverage, bus stops and stations, and the interconnectivity of services that are consistent with the Agency Goals and that meet Service Standards. In addition, some discussion will be included regarding service changes and the need to communicate with the public as well as being sensitive to their suggestions during the planning process. 5. Evaluation: This category measures how well the agency is performing. It makes use of data to compute performance measures against service standards. 6. Transit Service Monitoring: This category deals with the observation of transit performance. As providing transit service is a dynamic activity, monitoring is necessary to continue assessing the delivery of service and looking for improvement opportunities. Transit Scheduling: It is a process where public transit vehicles are assigned at specific times to be at specific locations along a route. The scheduling process, as depicted in Figure 1, follows a series of steps required for providing transit service. Scheduling is an art that requires good practical knowledge of the transit system as well as the skills needed to optimize the delivery of transit services. As scheduling is critical for providing a cost-effective and efficient transit service, a full understanding of their elements is absolutely necessary. In addition, in the scheduling process, a good knowledge of the labor agreement is very important in the development of schedules. The development of the timetables establishes the type of service that will be provided. Blocking is the process of creating vehicle assignments with the objective of optimizing the number of required vehicles. Runcutting is the process of creating driver assignments or runs, with the objective to optimize the number of drivers. These assignments called duties or runs usually follow guidelines from negotiated labor agreements. Rostering or Cafeteria Style are the bidding processes for selecting the weekly work assignments. Rostering uses automated computerized processes while Cafeteria Style allows operators to select their own runs. In the transit industry, there are several manuals on transit planning and scheduling that are being used as reference material. However, it is difficult to refer to each and every manual in order to perform the required tasks at the time of need. Hence, this manual is expected to be used as one of the main references for transit planners and schedulers. The manual should be of interest to new employees, experienced planners, schedulers, and others who would like to be acquainted with the fundamental knowledge for performing the required transit planning and scheduling tasks. The main objective for developing this manual is to provide training, guidance, and to serve as a resource for transit planners and schedulers. The ultimate goal is to provide a manual that could be used by transit agencies nationwide in the training of service planners and schedulers. The Literature Review will help gather information from existing reports, papers, manuals, or other published documents that examine the planning and scheduling functions as they apply to implementing and operating public transportation services. This task will help collect the relevant material needed to prepare a practical and useful manual for transit staff. In particular, the literature review will help identify any gaps and areas for improvement from existing manuals and reports. This task will include, but not be limited to, TCRP reports, published documents from transit agencies, books, and relevant transit papers. All documents used will be referenced in the final report. What is Planning? What is Scheduling? The plan for executing this project is to create two (2) sections in the project: Transit Planning and Transit Scheduling. 2. Planning Process: This process identifies the goals and objectives for the planning process and relevant transit standards and performance measures. It addresses data collection from various sources such as service area characteristics, transit routes and network, transfers, operating costs and revenues, and ridership. Guidance will be provided on how to analyze and use collected data and determine compliance with established service standards. In cases where no standards exist, guidance on service standards will be provided. Further, concepts are introduced to estimate the demand, calculate operating costs, and prepare service changes. 3. Task of Planner: The planner must do a thorough assessment of the service provided to identify areas of improvement. Following service standards, the planner must evaluate the service using performance measures. He/she must know what kind of data is needed, how to collect or obtain the data, and how to use the data to comply with service standards. This section will provide the foundations on how to carry out the basic planning tasks, analysis of data, and develop solutions to problems as well as present ideas for service improvements. socio-economic, major traffic generators, land use, street network, and related data. 5. Ideas for Transit Efficiency: As the planner collects data, the next step for the planner is to develop a better and more efficient transit plan. In this section, the planner creates various alternative scenarios that can help the transit system run efficiently. 6. Reports: One of the tasks of the planners is to assemble and analyze the data and prepare reports for management’s review and comments. Then the planner re-plans, modifies the report, and provides the agency with a final report that can be used as a guide for service changes and improvements. 7. Recommended Reading: This section is provided as a reference for the planner to locate additional information on topics related to transit planning. Relevant links to important sources of information will be provided in this section. 2. Scheduling Process: There are 4 steps involved in scheduling: 1) timetable development used to develop a service schedule for all routes in the system, 2) blocking used to develop vehicle assignments, 3) runcutting used to develop driver (operator) assignments and 4) work assignments used to group daily operator runs into weekly run packages. 3. Task of Scheduler: This deals with understanding the service standards and policies. It includes route structure, service frequency, and service timing: route cycle time, typical route configurations, benefits of interlining, service frequencies, transfer connections, etc. Trip generation includes span of service, maximum load point, headway, route patterns, terminal points, cycle time, time points, running times, and relief points. Blocking considers layover and recovery time, hooking trips together, and the assignment of vehicles. The runcutting process uses the labor agreements to determine the allowed platform times, spread times, etc. The process attempts to optimize the operator assignment. Rostering deals with the bid process and the weekly assignments. This task will also include a discussion on extraboard management, which is important for the efficient delivery of transit service. 4. Data sources, Software, and Technologies: This provides a list of data sources, tools, and relevant technologies. This is expected to help the scheduler with their work tasks. It is also intended to expose staff to technologies which can help enhance their job duties and improve efficiencies at the transit agency. A discussion on automated scheduling will be included, as it is currently being used by most transit agencies. 5. Ideas for Transit Efficiency: After the scheduler collects the data, the next step is to execute a more efficient schedule through a collaborative effort with other transit areas like planning, maintenance, and operations. In this section, the scheduler creates various alternative solutions that can help the transit system run efficiently. This section will outline how to derive alternative scenarios. 6. Reports: After the scheduler assembles all the data and prepares the transit schedule, they create a series of reports for the agency. If needed, the scheduler updates, based on input, adjusts the reports, and provides the agency with final reports. 7. Recommended Reading: This section is provided as a reference for scheduling staff to find more information on topics related to transit scheduling. Relevant links will be provided in this section. In the final report, FIU will document all the activities, findings, and recommendations used to prepare this Manual. 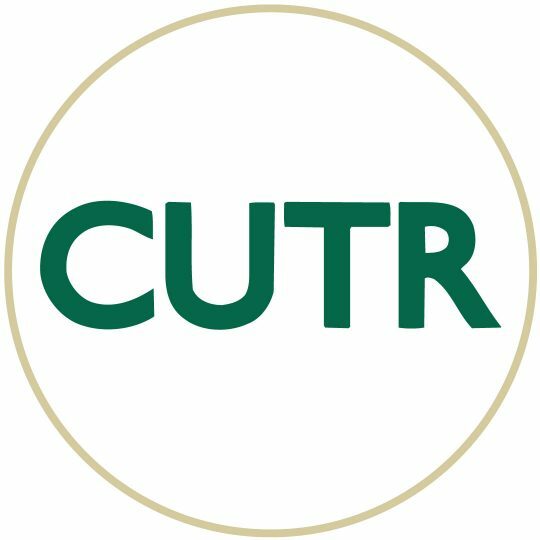 The draft final report will be edited for grammatical errors, idea clarity, organization, and readability prior to submission to the National Center for Transit Research (NCTR) for review, comments, and subsequent technical approval. FIU will finalize the report after receiving the final comments from NCTR. FIU will submit a PowerPoint Presentation and three hard copies of the Manual. Fabian Cevallos, Transit Program Director at LCTR, will serve as the Principal investigator and will be responsible for this project. He will also be directly involved with the all aspects of the project. Dr. Albert Gan at LCTR will serve as Co-Principal Investigator (Co-PI) and will provide overall technical assistance. Thalia Pickering, Web Designer and Graphic Artist, will assist with the graphics, formatting of the report, and preparation of the PowerPoint Presentation. Graduate Research Assistants at LCTR, will assist throughout the project, mainly with the document collection and the literature review task.